Many people immediately think of Western Europe first when thinking of a European vacation. Sure, the food in Italy is worth traveling miles for and the fashion of France needs to be seen first-hand. But, Central and Eastern Europe is just as interesting, if not more! If you’ve never considered what’s going on throughout the eastern sphere of this great continent, it’s time to start adjusting your travel plans. 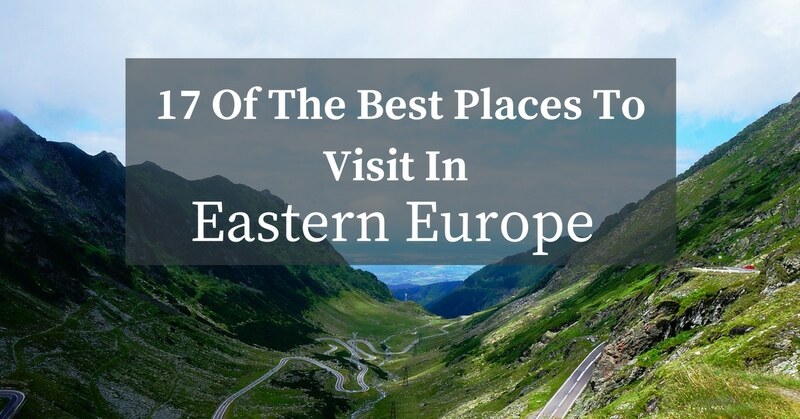 Here are 17 great places to visit in Eastern Europe, some of them, you may have never considered as a travel destination before now. This town is one of the most charming capital cities in Europe. In fact, it is a 2,000-year-old Roman outpost that is now packed with life and greenery. It has one of the most progressive modern art scenes in Europe and has a nightlife that might be hard to rival. However, it still packs in the historical architecture, cobblestone streets, and castles that you would typically expect from Europe. There couldn’t be more culture packed into this city between the art museums and the opera to the historical ruins and the emphasis on cinema. Don’t be surprised if you find yourself surrounded by college-aged youth, flowing in and out of the cafes and bars in between their classes. If nature is more your style, you’ll want to see Plitivce lakes, a destination within a huge national park in Croatia. 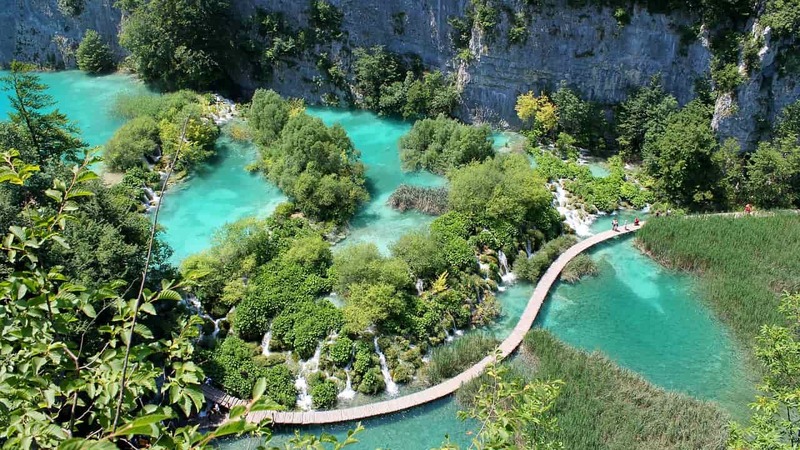 In fact, it’s been called Croatia’s top tourist attraction as it holds about 16 gorgeous lakes and a whole host of wildlife including wolves, bears, and deer. The lakes are connected by scenic waterfalls and the water itself is a shimmering turquoise that is mesmerizing to see just on its own. The park is open all year round and is equipped with multiple entrances to make visiting a breeze. If you are interested in visiting Croatia, you can see the 21 best things to do here. 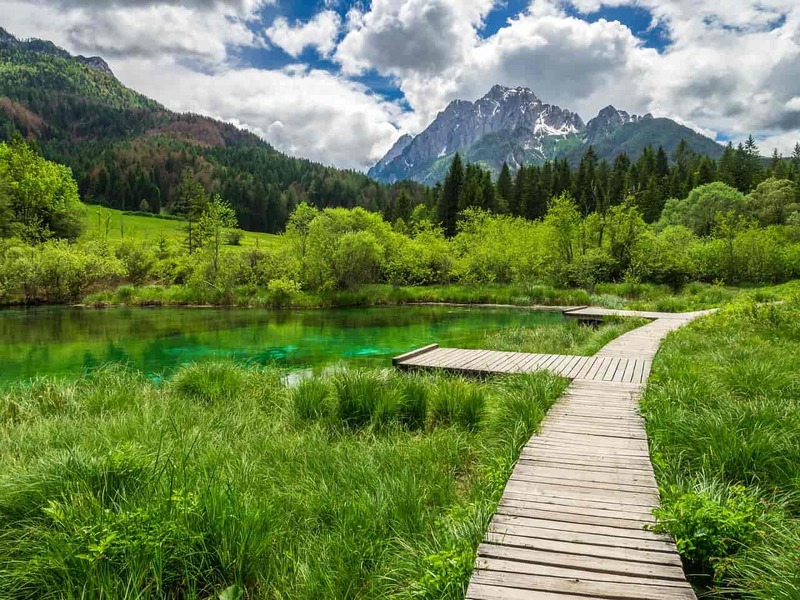 This lake in Slovenia is internationally known as one of those natural destinations that you HAVE to see. It is completely surrounded by forests and mountains and is characterized by the endlessly blue and perfectly clear waters that fill it. The entire area around the lake has the atmosphere of a fairytale with its antiquated castle and church that visitors are more than welcome to explore. Actually, the church is located on an island in the middle of the lake so that you can row out to it for lunch or an afternoon of sightseeing. However, if you are interested in more adrenalin filled activities, try white water rafting, swimming, or bungee jumping. The name ‘ruin bar’ doesn’t quite give justice to how popular these drinking destinations are. The trend for ruin bars began in 2001 when students were looking for cheap watering holes. Run-down buildings and unused outdoor spaces where turned into trendy, cheap, alternative, and largely underground bars. Now, this drinking counter culture has caught on, making these types of establishments, super fashionable and high on the Budapest bucket list of tourists. 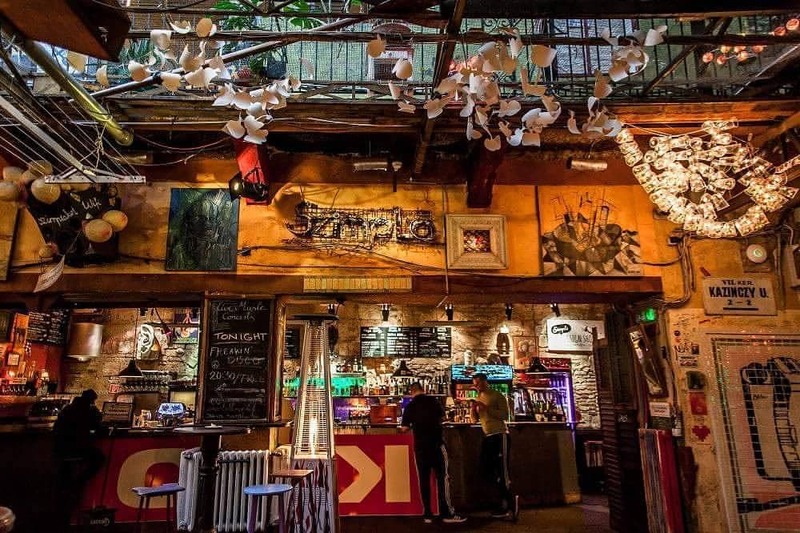 Make sure to check out some of the top ruin bars like: Szimpla, Racskert, Super 8, Kuplung, and Instant. 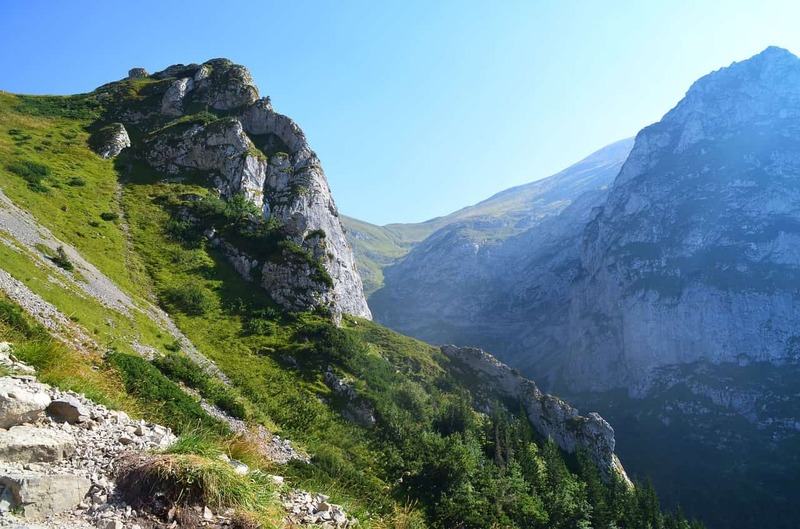 These mountains make up the highest range in the Carpathian Mountains, which border Poland and Slovakia. They are so stunning that they are considered a World UNESCO Heritage Site and are highly protected by the national parks nearby. The area is packed with plants and animals and is a top destination for tourists who appreciate natural beauty. There are a few trails for those who like trekking, the Orla Perc being the most difficult. If you’re into taking road trips, this is the highway that you MUST experience. 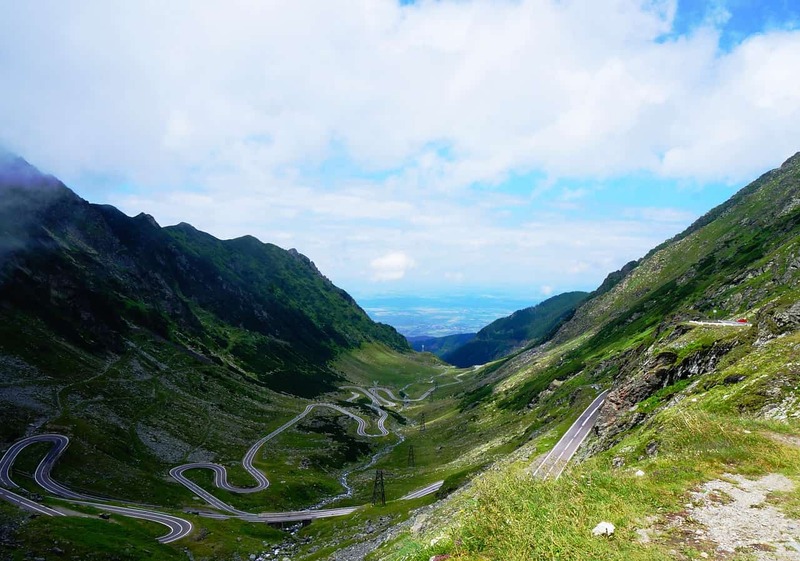 It’s a paved mountain road that crosses over the Carpathian Mountains, stretching over 90 kilometers. It was built as a strategic military route in the 1970s but it is now used for much more adventurous purposes. It is full of tunnels and viaducts and offers plenty of naturally beautiful vistas. People who have traveled all over the world will still say that Prague was one of their favorite cities. Besides the fact that it looks like it has come straight out of the pages of a fairy-tale, Prague is full of culture and activities to try. 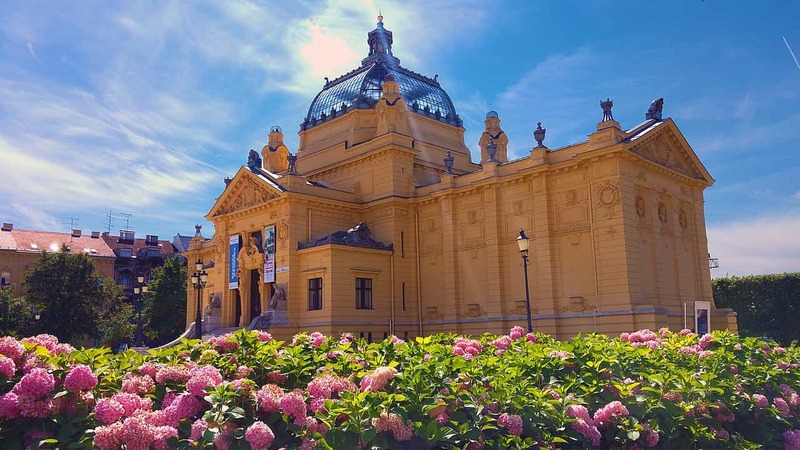 Make sure to tour the Prague Castle, walk across the Charles Bridge, and spend some time leisurely strolling around the Old Town. Walk around the former Jewish ghetto, Josefov, and make sure to have your camera ready for the infamous Dancing House. There are so many worthwhile museums, that you’ll have to choose which one sounds most promising, according to what you like best. And, there are so many ways to sight-see around the city, that you’ll need multiple days filled with biking, walking, and guided tours. Visit during the winter if you want to see the Christmas Markets and snow cover that will make the whole place seem like a winter wonderland. If you want outdoor adventures, this is the place to visit. Between its lakes, gorges, and waterfalls, Triglav National Park in Slovenia packs a punch of adrenaline. There is plenty to see while you visit but make sure to get to Vintgar Gorge, a path that runs along the river, has you crossing over a wooden footbridge, and leads you to a waterfall at the end. Make sure to check out Lake Bohinj, Pokljuka Ravine, and Savica Waterfall. If you want to do more than look, you can go rafting, mountaineering, canyoning, mountain climbing, or just ride up the cable car. 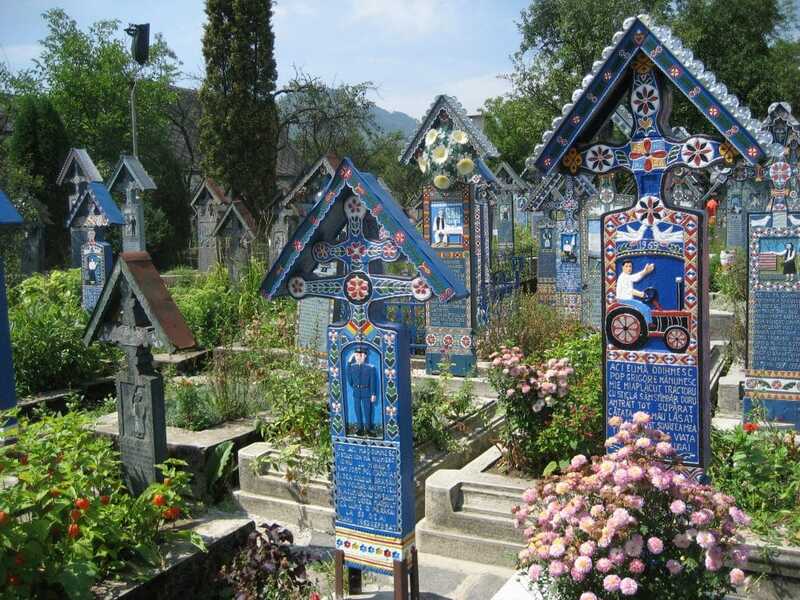 The Merry Cemetery in the village of Sapanta, which is known for its colorful tombstones with native paintings describing, in an original and poetic manner, the people who are buried there as well as scenes from their lives. The cemetery’s origins are linked with the name of Ioan Patras, a local artist who in the 1940s sculpted the first tombstone crosses and carved the first witty epitaphs. Today, there are more than 800 such oak wood crosses and the Merry Cemetery has become an open-air museum and a local tourist attraction. Nida, located on the west side of Lithuania, was once a bustling fishing village, but is more of a tourist destination these days. 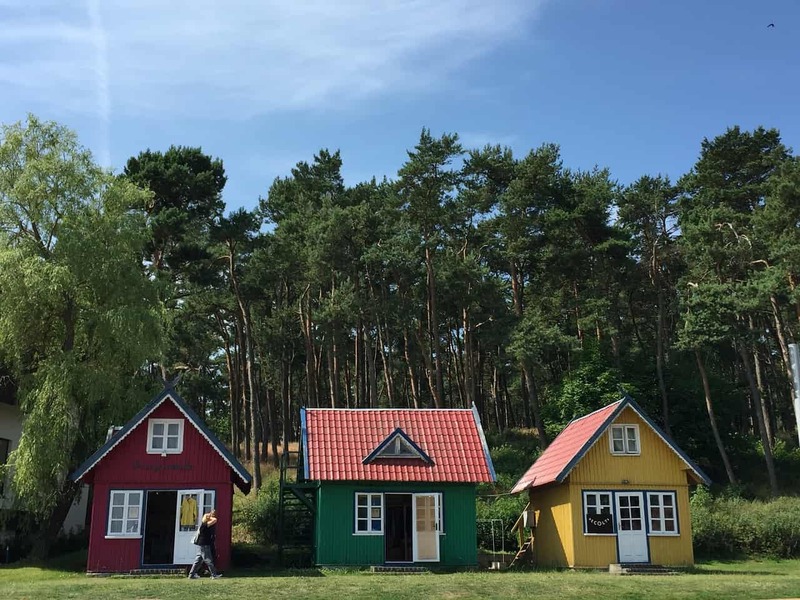 It’s characterized by its colorful buildings and its quaint charm, and is considered a World UNESCO Heritage Site shared by Russia and Lithuania. Visitors enjoy the dense forests and white sandy beaches, complete with impressive dunes. Eat some fresh seafood in one of the restaurants or take a few hours and explore Curonian National Park. 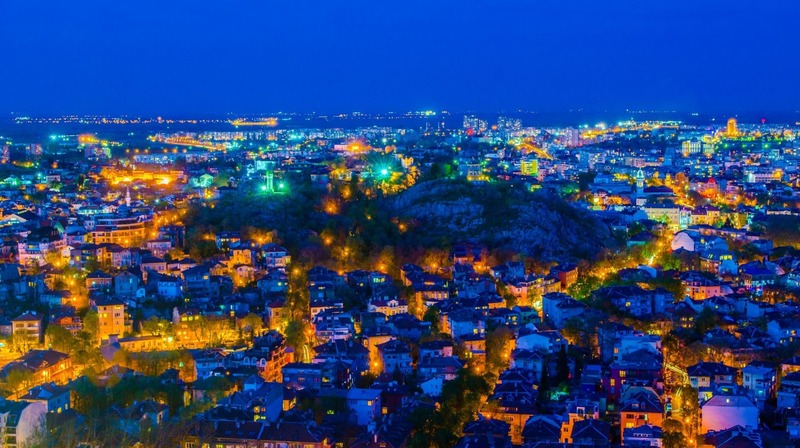 It’s the capital of Serbia and it’s full of history. The Kalemegdan-Belgrade Fortress is a great place to start if you want to learn more about the city’s military and political past. Do a bit of café hopping on Knez Mihailova Street, or some people watching in Republic Square. You could spend an afternoon going from one palace to the next or spend a whole day wandering through churches and looking at cathedrals. The choices for museums in Belgrade is absolutely overwhelming, and you can learn about everything from Roman culture, the military, and Nikola Tesla, to art and the country’s history. 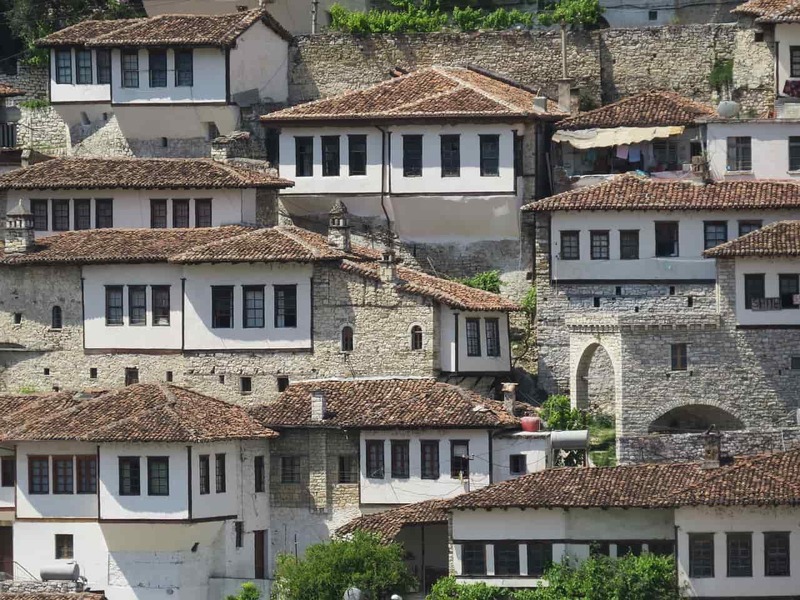 Considered a preserved Ottoman town, Berat is quite a rare destination in both eastern Europe and the world. It’s other claim to fame is that it is one of the most beautiful towns in Albania, with the nickname, “town of a thousand windows.” Those who have been here would say that it is a laid back mountain town, so small that you can easily wander around the whole thing by foot. While here, make sure to check out the castle, the mosques, churches, and the museums. Getting here when the weather is nice is ideal because there are multiple footpaths, a promenade, and a river to enjoy. Oh, and don’t forget to try the traditional Raki which is made from walnuts as well as the wine from Cobo Winery. Nature was good to Kotor, as this town is situated right on the border of Kotor Bay, surrounded by rugged mountain ranges. The old town is the center of all the attractions, and it is so culturally significant and historical that it has been deemed a World UNESCO Heritage Site. You’ll want to spend an entire afternoon, or longer, just wandering around the old town, taking it easy and experiencing all of the culture that surrounds you. One of the top experiences to have here is to climb on the upper town walls to get a glimpse of the entire city or watch the sunset. Kotor is the perfect balance between natural beauty, history, culture, and adventure. Located centrally in Croatia, the medieval city of Zagreb is also the capital of the country. The upper and lower towns are the top areas to visit, each slightly different but all having bars and restaurants to enjoy. It has all of the history you would expect from a historic, medieval city, but it’s also trendy with an underlying youth culture. You can spend many an afternoon wandering through the museums, or take a chance outside at Lake Jarun. The sites here might be overwhelming, so one of the best things to do is just get lost in the streets. You’ll be likely to stumble upon street art and murals, as well as craft markets and a whole lineup of cute cafes. The first settlement on this place was founded by the Thracians, and was later conquered by Philip of Macedonia – the father of Alexander the Great, who named it after himself – Philipopolis (the town of Philip). The Romans came here around the turn of the first millennia and further fortified the city, also building streets, towers and aqueducts. You will have a chance to see the famous Roman amphitheater and the Roman Stadium, which were also built in that period (2nd Century AD). The amphitheater could seat at that time 6,000 spectators and was probably the site of bloody gladiator fights. It is still used today for performances and cultural events. While the cities in Poland are recommended for a visit, this natural destination is a favorite for the local Pols who are looking to get away to relax. This cute little mountain town is charming, beautiful, and full of exciting activities to get into. Do the hike to Czarny Staw Gąsienicowy Lake and make sure to stop off for some food and a smoothie afterwards in the chalet at the end. Oh, and don’t forget to try the Oscypek, the infamous smoked cheese that is popular in this area. This is Latvia’s oldest and largest national park. The diversity here is great and visitors can find natural springs, sandstone outcrops, a variety of land-forms, and plenty of cultural monuments. The park has a ton of attractions including caves, cliffs, and stunning panoramic views. When you aren’t looking over cliff edges and wandering through caverns, check out the castle, on-site museum, and the old villages. You’ll learn about history while exploring a natural playground too. Eastern Europe is vastly underrated, so if you want to have a European experience that doesn’t focus on the usual cities of the west, heading to the east is a must. You will find beautiful capitals and undeniably stunning natural attractions. Ready to plan your next vacation to eastern Europe? Get in touch today and start crafting your itinerary.